While our goal is to be with you for your entire lifetime, our focus is to be with you throughout the various stages of your business and personal life. 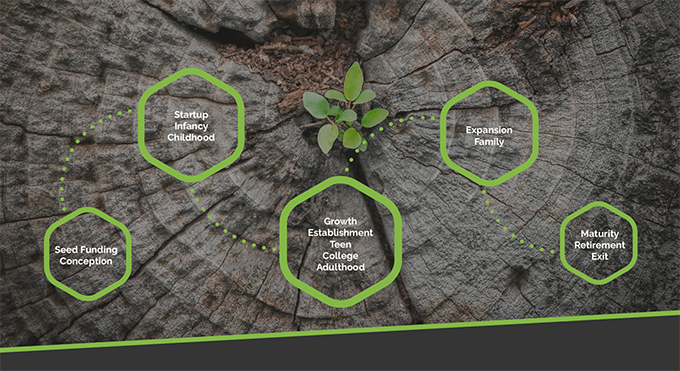 Like conceiving a child, businesses are born from just an idea and development begins. From the beginning, SD Mayer’s planning team can strategize with you to make sure that you understand the tax implications of the decisions you’re heading into and you will have financial security for your future. Our tax advisors have the resources to provide strategic advice on how to best manage your cash flow through the murky tax waters. Our wealth management and retirement teams can help you plan ahead to meet your future goals­—whether that’s college, retirement or future growth. technology team to evaluate your systems and hit the ground running without overspending. The teenage years can be tough­—too young to be fully independent, but too old to be micromanaged. At this point, you can start to let go and delegate tasks to others, so that you can focus on other things. SD Mayer’s outsource team could handle your back office tasks, like bookkeeping, while you focus on the front office. As you move toward adulthood, the smart business decisions you’ve made will start to pay off. © SD Mayer & Associates LLP | All Rights Reserved.